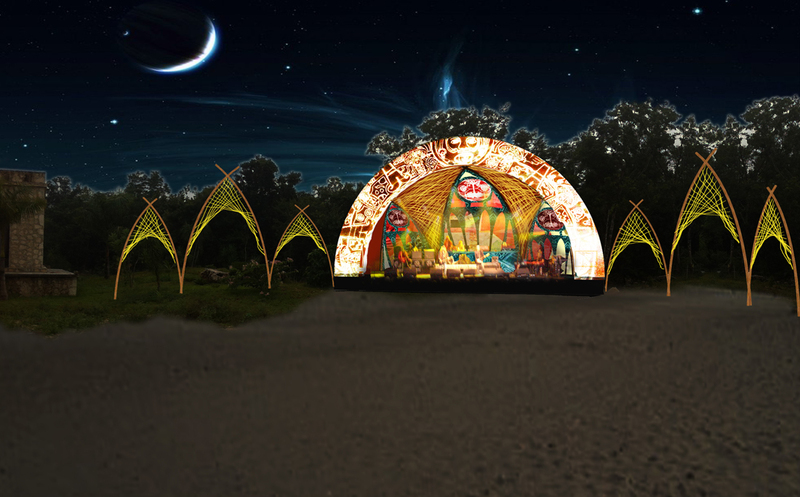 Set up by Seth Troxler Day Zero has come to reflect the seamless ebb and flow of its jungle habitat, a sacred space where the sonic tools of the ancient world meet that of the new. 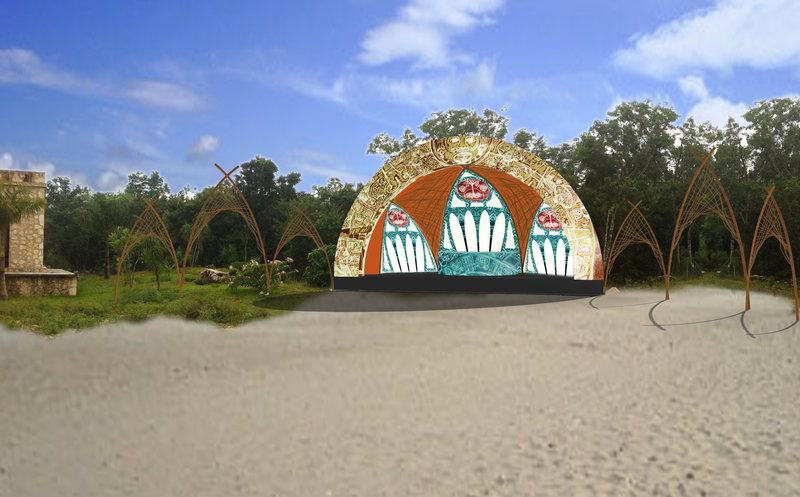 In 2012, I designed the main stage of the festival. 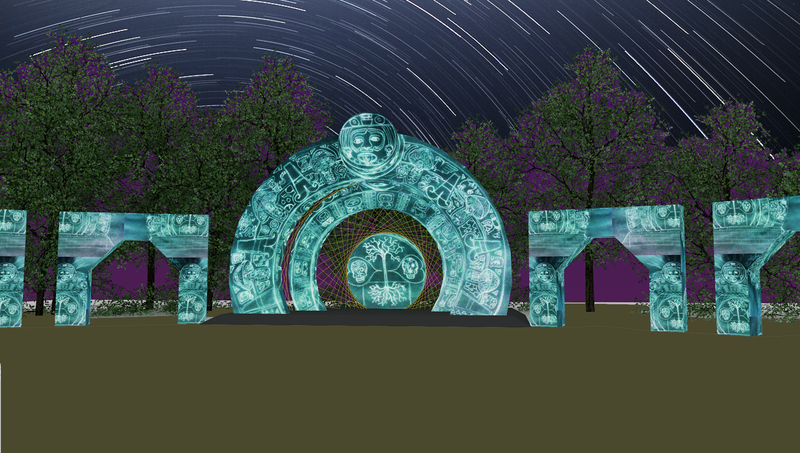 The concept was inspired by the festivals surroundings, the forests of the Yucatan Peninsula in Mexico. 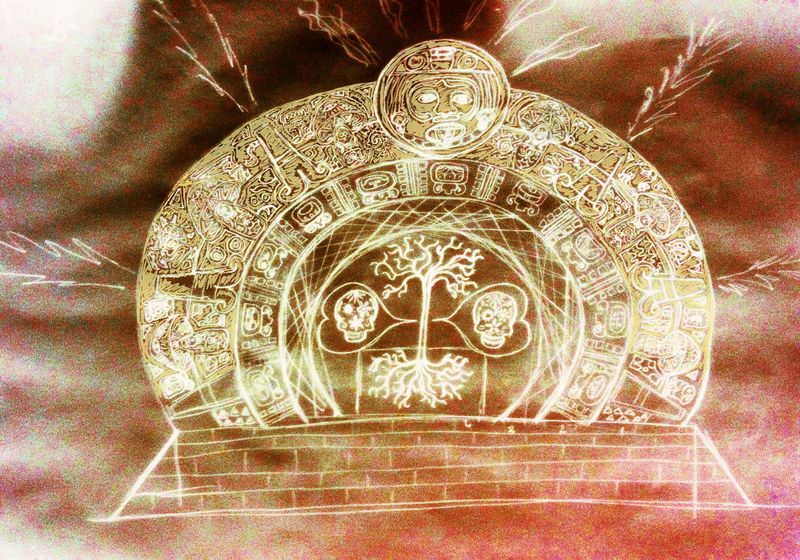 The basis of the piece interprets a Myan calender tablet. The set involved working with bamboo and bespoke canvas to create the unique structure.